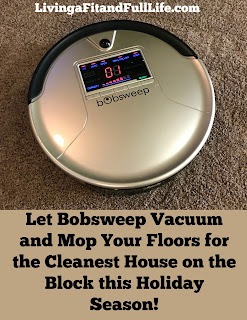 Living a Fit and Full Life: Let Bobsweep Vacuum and Mop Your Floors for the Cleanest House on the Block this Holiday Season! 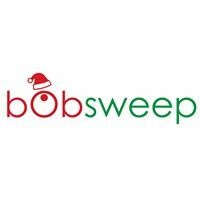 Let Bobsweep Vacuum and Mop Your Floors for the Cleanest House on the Block this Holiday Season! We, the creators of Bobsweep, have come a long way in designing our masterpiece ‘Bob’. What started as a vision years ago has today actualized into an excellent cleaning companion for everyone who prefers not to spend her or his time cleaning floors. We take pride in the fact that our intelligent floor cleaner is a blessing to many households in Canada. Our mission is to deliver high-quality and environmentally-friendly products that make your everyday lives easier. We are committed to providing an excellent experience to our customers, with both our superior products and our exemplary services. Our commitment drives us to push for designing products that are beyond just a gadget or a computer-based robot. We believe that the future can be better than the past only if we can expand our interaction with the world around us. That's why when we design, we design products that are from the nature, behave like a natural creature, and can go back to nature. Here at Bobsweep we are dedicated to making a paramount functioning, long lasting, and all-inclusive floor cleaning appliance for you: a serious home appliance that is not just a fashionable toy for bragging or a robot designed purely for the lovers of science fiction. Bobsweep, the intelligent floor cleaner, has been designed for you to get the toughest household tasks done with the least effort possible. Although perfection is inherently unattainable, it does guide our ambitions towards excellence and drives us towards improvement. While we constantly strive to improve our products and services, we do believe that Bobsweep functions better and lasts longer than any other comparable product in the market today. We stand by this belief with our genuine 30-day Money Back Guarantee, our 1 year Warranty, five years of Subsidized Repair and an excellent support team here to serve you. Even if Bobsweep is accidentally damaged (ie. dropped, water damage, etc) we will either fix it, or completely replace it with a new Bobsweep of our latest technology, at no more than %60 of your purchase price. There is no other robotic vacuum product with this promise out there, period. The heavy-duty handler. Always reining in cats' and dogs' fur. Specialty: Magician. Makes pet hair disappear. Large and in charge, Bob PetHair excels amongst busy families with constantly shedding pets. Upgraded controls and a more intuitive interface set him apart from Bob Standard. The Bobsweep Bob PetHair™ is an absolutely amazingly wonderful product! As a busy homeschooling mom of 4 kiddos I have my hands full during the day. Literally and figuratively! It seems like I rarely have enough hands to do simple tasks during the day. I've also always had the responsibility of vacuuming, even since I was a kid. Vacuuming is always what I got stuck with as a kid and I hated it just like I still hate it today. The Bobsweep Bob PetHair™ literally takes floor care out of my hands and handles not only the vacuuming but also the mopping. The Bob PetHair™ picks up just about everything from the floors, minus the bigger pieces of food and paper my kiddos drop. You can also attach the mopping pad and Bob will both vacuum and mop at the same time. I also love scheduling Bob to come on and vacuum when were away so that I come home to an amazingly clean home. Watching Bob work is both fun and entertaining! My kids love that Bob came with a remote so that they can drive him around whenever we need a quick vacuuming. My floors have never been cleaner and as a mom of 4 people have taken notice and have been complimenting me on how terrific my home looks. The Bobsweep Bob PetHair™ is also extremely simple to clean and maintain. I've been amazed at how much Bob actually picks up. It's dirt compartment always filled to the brim with hair, dust and other particles after each use. Even when I think the floors are already pretty clean. The Bobsweep Bob PetHair™ is such an amazing product, I've been bragging to all my friends about it and I already know several people who have added this to their Christmas wish list. If you wish for cleaner floors the Bobsweep Bob PetHair™ is definitely for you and I highly recommend it! 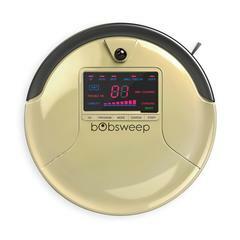 Click HERE to learn more about Bobsweep! Follow Bobsweep on social media!